As we wobbled the fully loaded bikes out of Auckland airport, it was raining quite hard. No Matter. This was it. The start of our trip. All the preparation and planning had come down to this. It's only rain. We donned the wet weather gear and began. We'd ridden 5km when Flora's pannier rack snapped, pivoting backwards before slamming emphatically into the tarmac. Then it started raining very hard. I'd be lying if I said there wasn't a fleeting second where I questioned why exactly we'd quit our jobs to do this. Thankfully, it wasn't a major problem. Undaunted and out of expletives, we eventually made it into Auckland and spent the next day shifting some hefty jet lag. Conversation was based around how to dramatically reduce the weight we were carrying, 'How narrow can I cut your handlebars? ', 'Can we share socks?' etc. 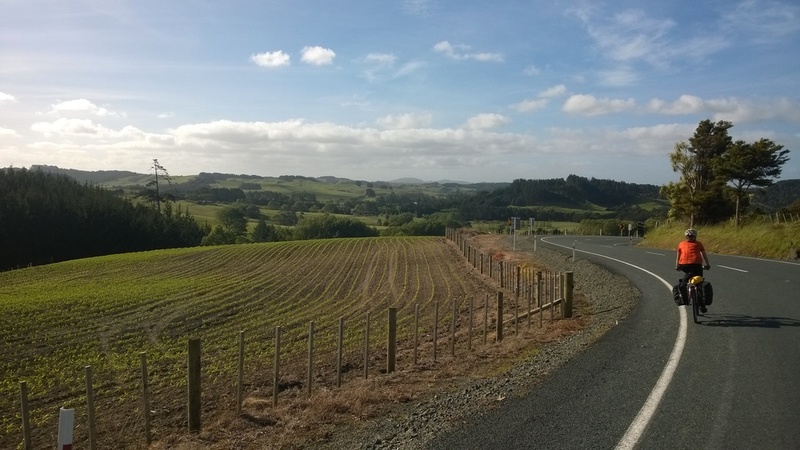 We planned to set off on a 'warm up' through New Zealand's Northland to ease ourselves in, iron out some of the sizeable creases and find our cycle touring zen. Four or five days we reckoned, waving a confident finger over a map in the presence of our Auckland hosts. 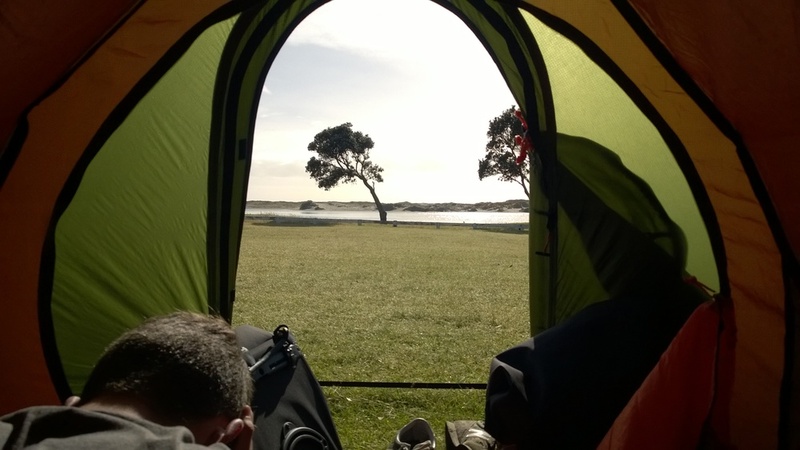 On the way up to NZ's most Northerly point, Cape Reinga (technically going the wrong way in grand scheme of our ride, and taking six days on its own) we discovered many things. We got very wet, moderately burnt and rode into headwinds, often all in the same day. 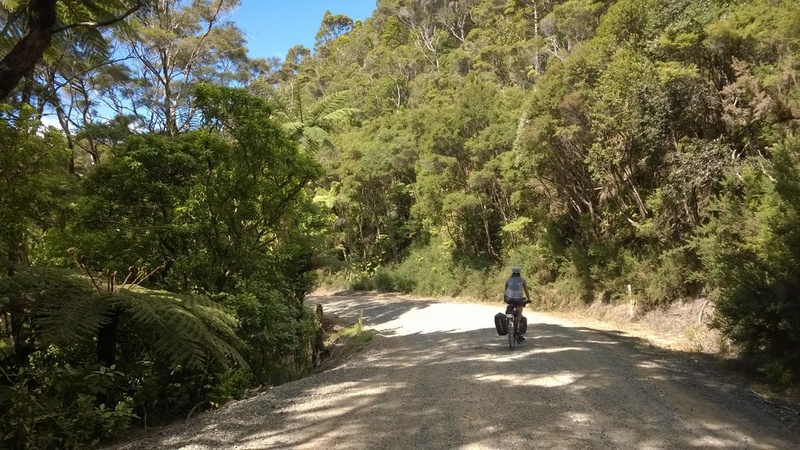 We tried many different ways to eat the abundant Avocado, hand fed a wild Weka (a bit like a Kiwi), wrongly assumed that the days route must be 'mostly downhill', rode gravel roads, on beaches, up closed highways and through rainforest (in the rain, naturally).